What Is Required to Substantiate Deductions to the IRS? Tallying up your deductions isn't good enough – you'll need proof of what you spent and why you spent it. 1. Can the IRS Ask for Bank Records in an Audit of Deductions? 2. Do I Need to Save the Original Receipt for Tax Purposes or Will a Scanned Document Suffice? A tax audit is a long shot for most people – according to TurboTax, only about 1 percent of all returns are subject to a second look by the Internal Revenue Service. If yours is among that small percentage, however, the IRS won't just take your word for it that your deductions are legitimate and correct. You'll have to prove them, and you'll have to do so according to certain rules. Proving deductions to the IRS is a two-step process. First, you must substantiate that you actually paid the expense you're claiming. For example, if you claim a $45 itemized medical expense, offering a copy of a bill or an invoice from the physician isn't sufficient. It only proves that you owe the money, not that you actually made good on the debt. The IRS accepts canceled checks, bank statements and credit card statements as proof of payment. These records can even be in electronic form as long as they’re easily accessible and readable. They must include the amount paid, the name of the payee, and the date the debit hit your bank account or was charged to your credit card. If your employer withholds deductible expenses from your paycheck, such as health insurance premiums, copies of your paystubs are acceptable proof of payment. Next you must prove that an expense is actually tax deductible. For example, a $100 payment to a doctor would not be an allowable medical expense if you paid for a friend's treatment. You'd have to substantiate that services were provided to you, your spouse or a dependent. The IRS accepts copies of bills and invoices if you present them in tandem with proof of payment. If you pay cash for a deductible expense, a receipt or sales slip will suffice on its own, but only if it's dated and it clearly states the amount and the service or goods you paid for. Deductible charitable donations fall into a class all by themselves. Not only will you need proof of payment, but you'll need a written receipt from the charity. Depending on the value of your gift, the receipt must detail the value of your non-cash donation or the amount of your cash donation. It must state whether you received anything in exchange, and – for non-cash donations – it must give a detailed description of the item. The receipt must cite the name and address of the qualified charity. If you value your gift at $500 or more, your documentation must include a statement regarding how and when you came into possession of the item you gave away. Deducting for charitable contributions valued at over $5,000 usually requires a professional appraisal. Substantiating mortgage interest deductions is relatively simple. Assuming your interest adds up to more than $600, this only requires a 1098 form or mortgage interest statement provided by your lender. If you take an above-the-line deduction for alimony paid, you'll need a copy of your divorce decree or separation agreement, showing that the payments are required by law. 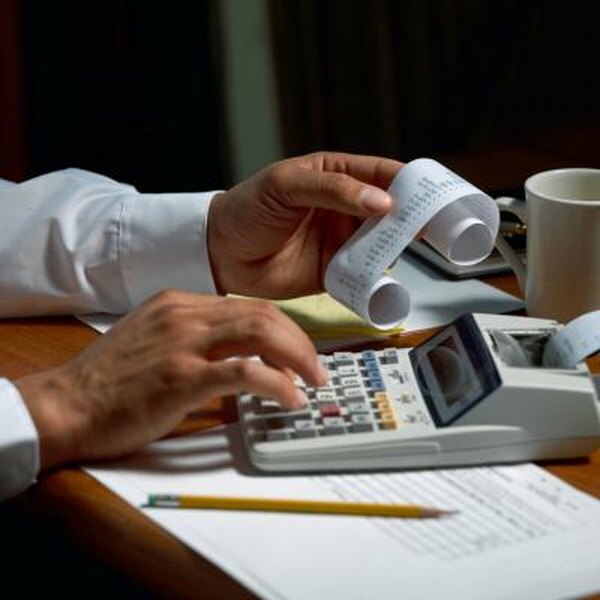 If you're self-employed and substantiating business deductions on your Schedule C, this involves much of the same paperwork as proving itemized personal deductions. You'll probably have at least a few that require a little more effort, however. For example, if you deduct business mileage, the IRS requires a written log of where you drove, why you drove there, and the date you made the trip. If you meet a client for lunch and pick up the tab, your receipt should also state the nature of the meeting. This information – a summary of the business you conducted – is a fundamental addition to most business expenses, and will help ensure that the IRS accepts your deductions. Do Charitable Donations Trigger Tax Audits?